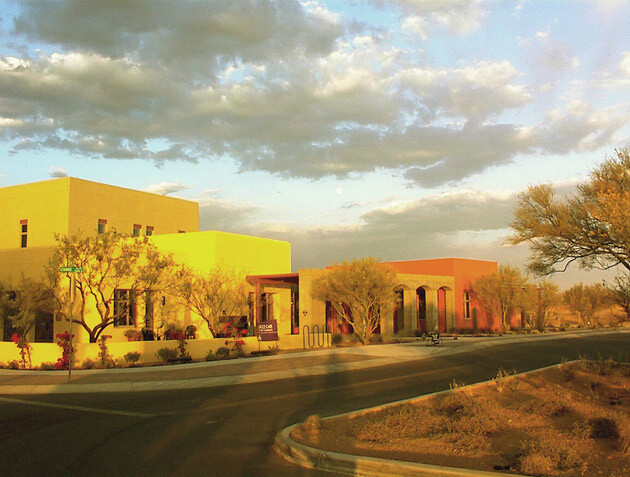 The 25,000-square-foot neighborhood center for the new town of Civano incorporates covered patios, shaded courtyards, deeply recessed openings, rammed-earth or adobe walls, wind towers and other passive cooling techniques as practical responses to the desert heat. 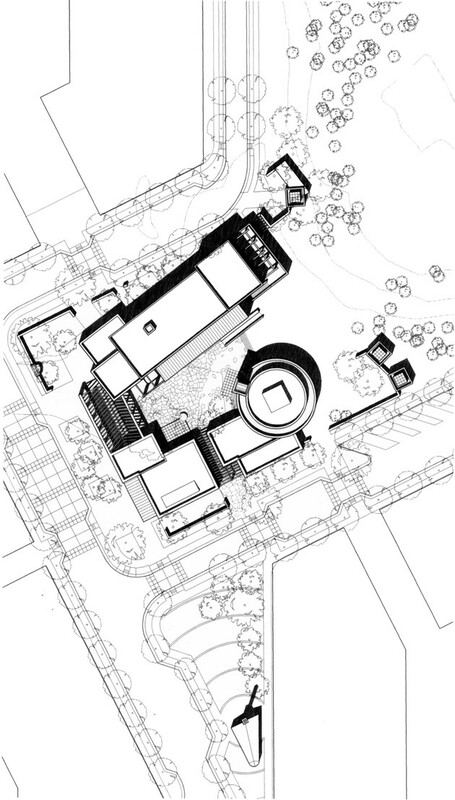 Within easy walking distance of all residences, the center was conceived as an updated academic atheneum with ample meeting spaces, living and dining spaces, kitchen and preparation areas, and a multi-level library. The Civano Neighborhood Center gathers the community for indoor or outdoor living, and recreation or leisure courtyard activities.